I've narrowed down my new kite choice to Airush Wave or Ozone Reo. People tell me that they are both great kites for waves, but dependent on the waves. What would be the suggestion between these two options for Onshore / Cross Onshore? I like a little bit of unhooked poppy tricks on the twin-tips every so often too. Generally I've heard that the Airush are generally faster more fiddly kites, whereas the Ozones are more drifty down the line kites? Lastly, recommendations for sizes? My last quiver was a 2011 11m C4 and a 9m 2010 Catalyst using primarily twintips, I'm 84kg, and planning on using these new ones mostly on a 5'10 directional. I don't find my Airush wave a fiddly kite. Drifts lovely, does as it's told. Is an extension to my hand/brain. Waves are not a pull and go kite, they have to be flown to get the best from them, but if you leave it along while surfing a wave, it'll float down with you and wake up when you need it. I have been using that 9 ever since. I did buy a 2017 9 back in February. Was nicer, more of the same, had a little more power, not as much top end as the 2013 IMO, but a little bit better low end. Drifted better, a bit more engaging & rewarding. I've yet to try a 2018 Wave, but I don't doubt the review someone has left about them. I weigh 95kgs and had been riding a Converse 6'1". Have recently got a 5'3" FW HEvo for lower wind days. Mostly ride cross on & onshore conditions. Never an issue getting upwind. Thanks for the reply! What kind of range does the 12 give you on your normal directional? I was thinking maybe a 10 and a 7 for my weight (85kg or so), but also potentially a 12 and 8. I don't have a 12 Wave anymore. Last year I used my GF's 12m Diamond and found it more like a 10.5/11m kite. bit under powered for me, but ok..ish... Drifted ok, but not really what I wanted, but funds didn't allow me to get a 12 wave style at the time, so had to make do. Diamond used in winds from 17 - 25. As soon as I could I would always get my 9 out. I bought a 2017 12m Union the same time as the 2017 9 Wave and found that can be a bit much at times on the SB. I need to put that on to the furthest away knots on the back pig tails. Then it's not as grunty and goes upwind much easier. It's not as good as the Waves in waves, it drifts, but nowhere near as well as the Wave. A little bit more thought and preparation needs to take place to make it work on a SB IMO. But that is a good kite for lighter winds. I have held onto it in 25+ anymore and it's just too much. On the SB. I got it because I TT sometimes and it's fun with that. 9m Wave range for me is 18 - 33ish has a massive range Starts being fun from 20. I have had it out in 15, and was able to hold ground, but struggled with bigger waves, obviously. I've recently got a 10m 2018 Wave, but have yet to try it out. Am hoping it gives me a little more bottom end over my 9 with the FW Evo. Making the 12 redundant... We'll see. The 7 has a big range, for me it's high 20's to low 40's and so easy to dump power. I'm off the water for a while though, as I'm recovering from surgery. I currently have a 12m(2015) and an 8m(2017) Reo and I pretty much weigh the same as you. I find that it suits mostly from 15 to 30+knots, the 12 get's me going from about 15 knots but I find I'm overpower around 18-20 ish knots. The 8m get's me going at around 20 knots so there's a few knots where I'm either over powered or under. If you're going for a two kite quiver and are want to kite at around 15-25+ knots I would maybe look at getting a 10m and 7m. I've found Reo's have the best drift out there and perform really well in high winds. I cant speak for the Airrush Wave, But you cant go wrong with a reo V4. Such a nice kite. Drift abilty isnt needed a huge amount on cross on, cross though, just fast to react and pivoting ability. I unhook on mine aswell when twintipping but I struggle at handle pass attempts. Wave kites just arnt made to slackline. So unless you hit the gym alot, it takes some muscle. So I keep it to rotations only(all Im good at to be honest), I personally think crossover kites have come a long way these days, if your keen to get the best of both worlds. Does Airrush make a crossover? Could be worth trying one out compared to a Ozone Enduro. Hey Zarb. I'm 82kg and have a 9m REO as a 1 kite quiver. 15 to 25 knots is really good although I have a floatier board for the lighter winds. If I was going to go for a 2 kite quiver a 9 and a 7 would be good but with your board maybe 10 and 7 is good depending on volume. Both the Waves & Reos are excellent kites, I've had both & you can not go wrong with either kite. Maybe just go for the best deal you are offered. I personally wouldn't go any bigger than 10m for wave riding. I'm using 6/8/10/12 for the last 2 years, previously was trying a 3 kite quiver 12/9/7. I'm 73kg and ride directionals mainly around 23ltrs and evo and a Delta 5'7" revamp are my favourite boards. I'll use a Vanguard with the 12 to milk a session in light winds and small surf. The 3M gap between a 12 and 9 was a bit hard to judge and it annoyed me making the wrong choice on the day, but the reality is that the 10 and 8 are my most used kites on the East Coast. Next most used is the 12, and the 6 gets pulled out in the stronger southerlies and black nor'easters. At your weight, I'd suggest 12/9 15-30 knots or 10/7 16/17 to 30+ as a 2 kite quiver. Having a slightly bigger second surfboard will really help getting the best bottom end from a 10 (my favourite). In terms of sizing I'm thinking 10/7. I have a few boards lying around that I don't use surfing anymore, one of them being a 5'11" wide and thick epoxy that I can take out on light days for a little bit more low end. High end I can just take out one of my old PU high performance shapes. What's the difference between the 10m and 12m Reo V4s? I am 80kg and currently have 10m the biggest, but would I gain anything real difference from 12 on top of 10? This would be mostly used for strapless freestyle (no grab rotations) in flattish water, where a high flying as well as the turning speed of a kite would be useful. Reo has a much larger following and will be much easier to sell 2nd hand. Cannot comment on performance as I have not flown the wave. A lot of people I know ride straps, so have a gruntier kite. I'm strapless and prefer the way the power is generated with the Airush. I've not tried any of the newer Reo's. I'm sure they are good. I found Airush suited me and I still like that model 5 yrs later. If you're torn on what to get and you can't get a demo, get the ones you get the best deal on. Do you like pullies or nor pullies on your kites. No pullies go with the reo. we have both camps here in the naxi and both reo and airush riders shred equally. I can't help you on the wave but I can tell you what I like about reos, and why I use them. I'm 73kg and use a 6, 9, 12m v4. Rob Whittal has done a great job of designing the kite-bridal combo. It's been copied by other brands. Basically it's a minimalist bridal that has direct feel and steering input but still retains light bar pressure. That in itself is a feat with no pulleys. It also is not prone to tip wrap; so combined with a low vee on centres is easy to self land/takeoff. The V4 is smoother with slightly more range than the V3. With other kites there is often a 'sweet' size. Not the case with the reos. I love my 12 as much as my 6. 9 is my most used kite. They fly the same across the range especially the V4's. They work in a variety of wind conditions. I use a larger kite the more onshore (easterly) it is here. OMG the 12 is great. If it is the least bit kiteable I can get out on the 12 and still ride waves. It also gives you that extra float for a punt. You can rip the thing around so it's never in the wrong spot even when it's light. The only negatives are magnets on the bar that deteriorate and I have heard of heavy on the bar riders not being suited to them. Zarb I used to do a 2 kite quiver. It makes sense for travelling. It was a 10 and 7. That will cover you. My 2 cents on the quiver of Reo's, I have 12 10 8 combo, the 10 is a v4 while the other two are v3. V4 10 is a bomb kite, and my go to for most sessions on a surfboard. 84 kilos (hopefully down to 80 by mid summer). 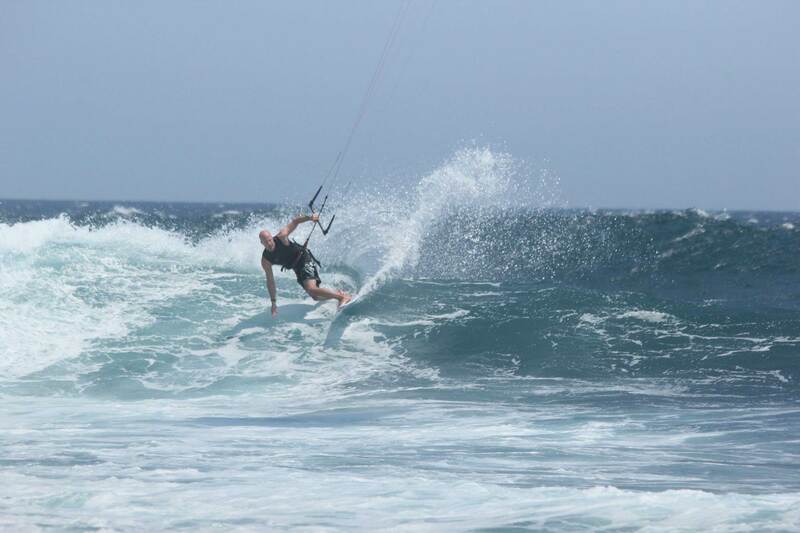 I have not used my 12 in so long but I still hesitate to sell it as it too is a great kite in waves around 14 knots. But I generally can get out in at 14 on my 10 but requires a tad more work. I don't ride TT's any more, knees don't like it. Now that I have been foiling for a few seasons I have had to rethink the quiver. A 10 Reo gets me out in 10 knots, down to 8 or so. I can start riding the 4 Uno in around 18 to 20. Have not ridden the Airrush, but pulleys put me off and most repairs I do for friends are seized pulleys. Direct connection bridles are better in my opinion but take more work from the designers to get them just right. It's amazing how tiny adjustments to a bridle can make or break a kite. I'd say 2-3 knots more bottom end. Def a more lofty kite for strapless freestyle, see "Pearls" comments, I ride with him a lot we are the same weight, I have 12/10/8/6 he has 12/9/6 and handles the 3m gaps fine, some days he misjudges his size (mostly doesn't though) and I'd say I'd do the same but with one more kite in the mix ha! The 12 turns super sweet, its an amazing 12m kite, not slow at all with plenty of lift. The only other manufacturer that doesn't use pulleys or sliders that I know of is Switch. I have read people saying there's a delay & kites turn slowere with pulleys. That's not what I experienced when changing from Reos to AR Wave kites, I found the Waves faster & zero delay. But I personally do prefer no pulleys/sliders as there's no wear points on your bridle & less things to go wrong in general. I've used Airush Varial X, Wave, Vantage, Lithium(demo) Diamonds and Union 2 & 3. Only one kite had an issue with a pulley (18m Vantage) even if it was actually that. I had wear on both sides of the bridle (the bridle is a very light weight dynema). But never had a seized one. I never clean them out, because there is not a need to. I make sure they are free every once in a while. I do kite at sandy and muddy spots. None of our other kites have suffered bridle wear due to the pulleys. I've been using my 'old' 2013 9 Wave (bought in Dec 2012) up to a few weeks ago. The Ozone kites I've had in the past have had 'heavy' bar pressure (Catalyst, Zephyr & Reo). I'm more of a fan of lighter pressure. Or at least lighter pressure than the Ozones I've used in the past. I agree it takes a lot of thought and R&D to get a kite to work without pulleys, but surely it's not the best? The diagram above is, to put it bluntly, BS. Its marketing spin and definitely not based on fact. Try depowering any kite with pulleys, within a relatively small amount of difference between the front and rear lines, the rear lines start to sag and definitely do not remain tight as in the diagram above. Think about it, how could they remain tight and the kite still pivot forward around its centre of gravity or effort? The fact that you are shortening the front lines means the rear lines have to get longer relative to the fronts, otherwise, the kite could not pivot forward could it? Pulleys allow the front bridle legs they are rigged in to adjust but this, in turn, changes the whole geometry of the bridle, they also allow a lot of movement laterally when the kite is turning, which combined with sheeting the bar in and out gives that characteristic laggy or doughy feel to kites that have pulleys OR sliders. Kites that have no pulleys have a very direct feel and definitely, have more than enough depower. I think we would have all been hearing about the lack of wind range from pulleyless brands well before this hey? A simple example would be the Zephyr from Ozone, which has the largest wind range of a big kite that I know of. Some designers just have not been able to nail the exact bridge or join points in their bridle designs to eliminate pulleys, while others clearly have, the fact that their kites exist and fly so well is proof. On the flip side, there are kites that have pulleys and that have been refined over many generations, a couple of recent kites I've tried like the Cab switchy and F-One bandit are good examples. They are extremely popular too, they work well, fly ok, but to me also have the characteristics mentioned above. People who fly this type of kite all the time do not notice, but I definitely do because I fly pulleyless kites almost all the time. Personally, I find Ozone kites to have a very direct feel, and require less attention from me to know exactly where they are in the sky and how they will react to my bar inputs, is super consistent, and thats why I prefer pulleyless kites. If it was windy, and there were only kites with pulleys available, I'd definitely not hesitate to get out there on one! The other key thing about Ozone Reo wave kites is that the designer has created a compact bridle that cannot tangle on the kite and that gives a very short depower throw at the bar. 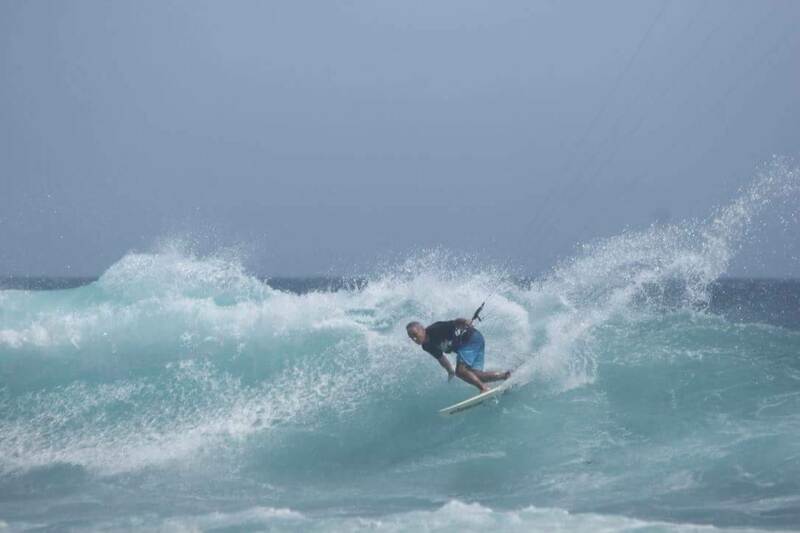 This gives you as the rider the ability to dump the power when turning on a wave and with a short adjustment get enough rear line tension to redirect the kite without getting yanked away from the wave or have to overreach and get off balance. I'm not biased in my thoughts. Because I'm not sponsored nor do I sell any kite brands. So I am happy to inform my thoughts on my experiences with the kites the OP has asked about. I think you should actually try an Airush Wave, before you start spouting kites with pulleys are spongy. It definitely does not feel spongy, nor is there any kind of lag between me asking it to do something. Like I said, earlier, I find it an extension to my brain. I do remember when I pulled all the depower rope when the wind picked up the Reo was a dog. Maybe they have sorted that out, but at the time to me that was a bag of ****e in comparison to the Wave, which still has good control when fully depowered. Also when at the top of it's range, the Reo was heavy and wooden in feeling. I'm open to other brands but I found the Wave way better than the Reo, when I was actually riding the Reo's. I haven't tried the latest edition Reo's. I've yet to find anything that suits me for strapless riding other than the Wave. But that's my opinion. I find many riders prefer the pull and go type of kites, where'as I prefer a kite that is engaging to fly and requires input and skills to get the best from it. There are not many riders like that, as they don't have the time nor patience to learn those skills. They just want to get on the water and pull and go. And a few of the brands list "pull & go" in the specs of their Waves kites, as a trait of the kite. If that's what they want, then so be it. But sometimes, when they step away from their easy kites and have a go on something that is engaging and rewarding, they realise, how much fun it actually is. But, it's not for everybody. When I started I had pull & go kites, because they were easy, but as my skills improved, I needed to get away from them. When I first had a demo of the Reo, I was blown away by how good I thought it was. And it was better than what I was using at the time. But then after a few months of ownership I had a few bad sessions on the Reo's and got frustrated by them to the point of not actually wanting to use them. I sold the 12 first and was glad to get rid of it. The 10 was sold not long after that. Then I had a demo of the Airush Wave, it was light and day different. I was lucky enough to hang onto that demo for two months, I thought the guy had forgotten about me. He was cool and I bough that kite, because I didn't want to spend any time without it, in case wind came while I was waiting for the 'replacement'. Earlier this year I was tempted by the Enduro, due to it's Freeride & Wave settings. I nearly had a demo of a V1, but didn't due to having to make the effort for a 3hr round trip and I didn't want to buy from that reseller. I recently spoke with a guy at my local who has just changed from a V1 to V2 enduro. He loved it, but others I've spoken to haven't. I think it's good, but it's still a kite that tries to be many, but is not specifically on one. Seeing as I'm 98% strapless now, I want something that works for me in that discipline. Stick to the facts, stop trying to cloud the discussion. You say the Bandit & switch blade are good kites. But they are completely different beasts. They are not Wave specific. I don't understand why you would want to chuck in some information to cloud the difference between the Reo & Wave, which, after all was the OP's question. IMO the Bandit is an awful kite. But many love it. But it is def not for me. They may have pulleys, but that's where the similarity ends. For sure the Zephyr has a massive wind range, but it's not a wave kite. So why are you chucking in that info? In a thread about Waves kites? I'm yet to fly a bridalled kite with no pulleys that I've liked, except the edge. Oh and the zephyr. In my humble and probably wrong opinion, a bridal without a pulley has to do too much work to change the angle of attack...hence I find the kite rocks back and forth ....that is....it feels like the kite flies off the front lines. That is, there is little connection between the front and back lines...or less connection. I don't buy into this more direct feel BS because somehting has no pulleys, that's for sure. But this is only my opinion after trying plenty of kite designs and I don't really have the kite design knowledge to really explain myself. And in the end it's all about what you like and also you get used to whatever you fly in the end. But to say one one is better than the other is in the end only an opinion. It's what I want and like, if someone asks about them, I'll say why I like them. I try to only give what I think are valid points and not to slag off other brands. Esp. if I've not tried them. I would like to try an Airush Wave for sure, and I have no doubt that its a good kite. If a kite has pulleys or sliders, experienced kiters like me can feel them. I prefer the direct feel of Ozone kites, and have never felt thay lacked depower. Obviously you think you have above average kiting skills, which is fine, as you say everyone is entitled to their opinion, and what one person likes in a kite another does not. Hmm Enduro V2's only arrived in the country about 3 weeks ago in very limited numbers. There are more floating around now. I only just got my 14M demo. I can vouch that it defintely works for strapped and unstrapped surfboard riding very well and I've also tried it on the freeride setting on a TT twice now and rate it very good in that regard too. Freestyle is not my thing, but I know people who have them and who are liking them a lot. The switchy and bandit were mentioned because they are bridled kites that I have flown in the last few months. They may not be wave specific, but they have pulleys and I mentioned them in relation to that marketing spin you posted, I thought that was obvious? I don't think either of them are aweful, they are not for me since I have a choice, if I did not have a choice I would be hapy to ride either. I'd also be happy to ride several other brands that I have not mentioned especially some from North, Airush, Elevate and Naish as I think they all employ great designers and really do try to make quality products. The Zephyr was mentioned because the marketing spin you posted states that kites without bridles have less depower, yet the Zephyr has huge depower, so the spin is wrong isn't it? I'm not going to reply, unless its to the OP and about a specific question in relation to Reo V4 kites. I meant no insult or harm to you or Airush wave kites and hope you get over your injury quickly and get back on the water asap. I personally like no pullies because I thrash my kites for years and years! Pullies wear out bridles shrink and break a lot sooner with pullies. If you plan to upgrade every couple of years then pully wear won't be an issue. If you want to flog a kite for years then no pullies is winner winner chicken dinner. Don't listen to the hype about pulleys wearing out bridles. Sure they'll be shrinkage, but that'll be the same for non-pulley kites too. It'll be 5yrs old this December, without any pulley wear... just probable shrinkage. And at 97 - 100 kgs, I need a lot more wind than some of you guys, so wear on the bridle/pulleys would be more apparent. Wouldn't it? That sorta proves my point earlier. Some people prefer pullies and some don't. So... Like pullies buy the airush. Don't like pullies buy the ozone. Don't care either way. Test both and buy the one that makes you grin the most. Both kites will be awesome. So you'll be grinning no matter what your decision. It doesn't really Plum, you said "Pullies wear out bridles shrink and break a lot sooner with pullies. "